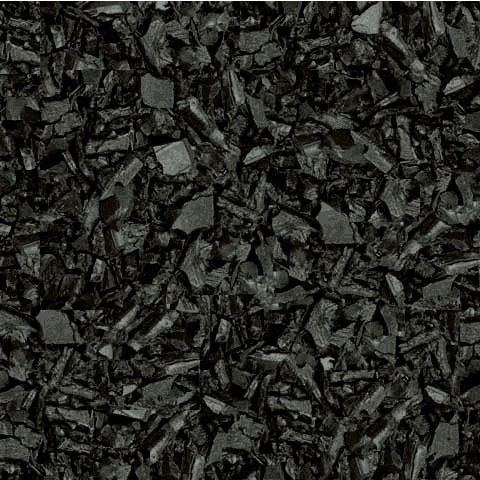 Premium recycled rubber mulch with toxic free black dye. I love the free shipping. I got 50 bags today and tomorrow I am going to order 50 more of the black premium mulch for the playground. 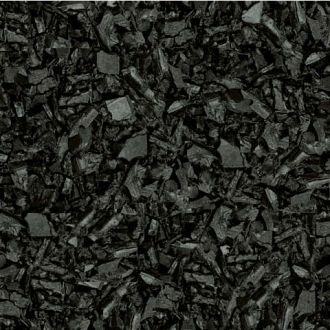 We have installed our black rubber mulch and just love it. It’s a perfect match for our contemporary home, and, best of all, it’ll last forever. The rubber border is terrific too; it’s a wonderful boundary for our property. 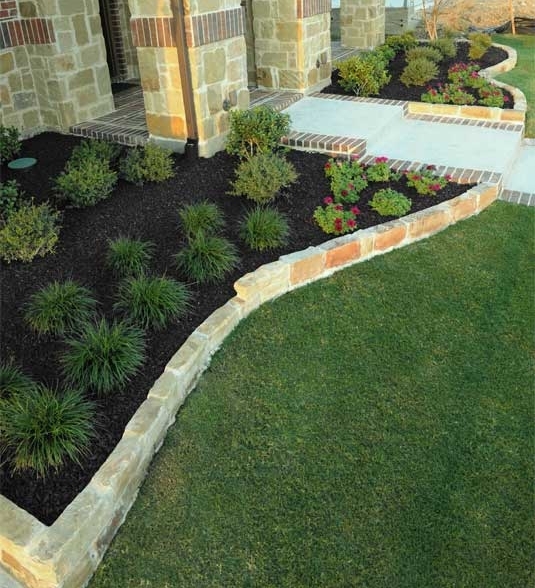 Five stars all the way for the mulch and border. Great product. Neighbors are driving slowly by will order again. The delivery was very professional. 6000 lbs. put where I wanted it. Outstanding! Have to order more to finish my back yard. Would not order from anyone else. Thanks for being what you advertise . 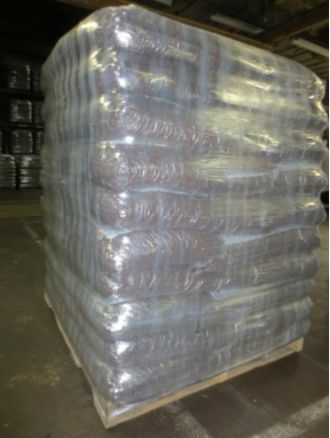 This is the second order I have placed with MulchDirect for rubber landscaping mulch. So far I have received 4 pallets of the black mulch and it has worked very well in my yard. The company was responsive to questions, shipping was fast and the shipping company was very accommodating. 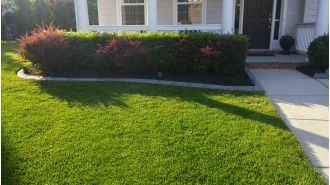 I would not hesitate on ordering more product from MulchDirect.com. Very happy with my purchase. Easy delivery and everything was there. Will buy again if needed. Very good product, easy to order, delivered on time! I was quite happy with my purchase. The product looks great in my yard. It arrived on a pallet dropped in my driveway in bags which made it easier for me to get it to the areas I needed. The cost was hundreds less than I could find it anywhere else. Mulch has been down now for three months and we are very satisfied. Looks great. Cannot tell it is rubber except on close inspection. I was worried it would wash away but has held up in some huge rain storms. The best surprise was ease of installation. Easy to carry bags to location, cut and spread. Avoids the stinky, tedious job of shoveling normal much into and out of wheel barrow. It took a fraction of the time we previously spent each year – and hopefully we are done for a few years! I was kinda bent out of shape waiting for the order to arrive. Even filed a dispute with pay pal..BUT when the order was finally delivered. The driver was awsome and helped me getting the load exactly where I wanted it( tipped him too). Then to my surprise AHHHHHH the bags were 20# and not 40#--I was elated to see that and in fact It was so much easier with the 20# bags that I completed the job the same day. I then cancelled the dispute with pay pal with a GOOD response to Mulch Direct..The product is awsome and I have had so many nice responses from the neighbors..It was well worth the wait..Thank you all. I have nothing but positive things to say about this company. I am not a person who looks to find excuses in order to get something for free, but I do expect to get what I am promised. First, about the product, it is exactly what I hoped it would be. It looks great and I could not be more pleased. About the delivery; I ordered a couple of things at the same time and soon after I placed my order I received notice there were a couple things on backorder and they wanted to know if I still want to place my order. I said as long as the mulch came as promised, everything else will be fine to be received later. That is exactly what happened. In addition as stated by the company they only guarantee street delivery, but I was able to meet the driver at the time the mulch was being delivered, and I was able to get the mulch delivered exactly where I wanted it to be put. I had one issue with the mulch that I received, after putting everything down I realized there were two different shades of the mulch that I had received, and I notified Mulch Direct's customer service. 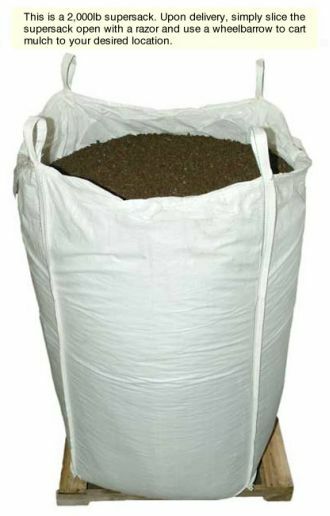 Not only were they willing to replace what I had, but they had the factory manager personally deliver extra bags of mulch to make up for what they had sent me. Totally unexpected, and excellent customer service! I'm a person that does not expect everything to be perfect, but I look at individuals and companies when mistakes are made and how they handle those mistakes, and Mulch Direct did not disappoint, they did an I ncredible job! I would highly recommend ordering from this company and their product to anyone I come in contact with. Thanks again for a great experience, and a 100% satisfied customer. So far I am well pleased with my mulch. We've had a couple hard rain events since the mulch was spread and it didn't move at all. It is actually lasts for 12 years as advertised, it will definitely be a good deal. After receiving a professionally delivered pallet, delivery was super quick. I place the rubber mulch out and it looks amazing, its the talk of the neighborhood. I passed along the information hopefully you will receive more orders.